I hear that the manatee’s are making a comeback! They might go from endangered to threatened. After reading about them, I wanted to make a little painting. They are super fun to draw, all lumpy and super cute. I am trying to incorporate the spirograph designs as well. I haven’t figured out what to call what they add…but they add something that I like. Hoping to be able to make a painting for day 12. 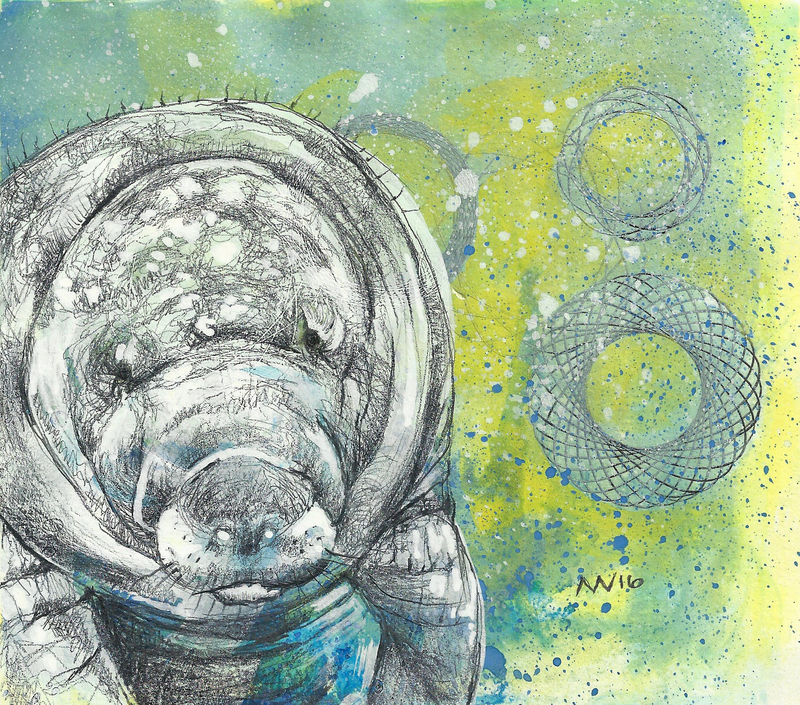 This entry was posted in #30paintingsin30days!, animal, art, artistic discovery, artwork, challenge, small painting and tagged #30paintingsin30days!, #art4all, art, casein, graphite, manatee, small painting. Bookmark the permalink. ← Twenty More to Go! I like the addition of the spirographs too – I like this picture very much.